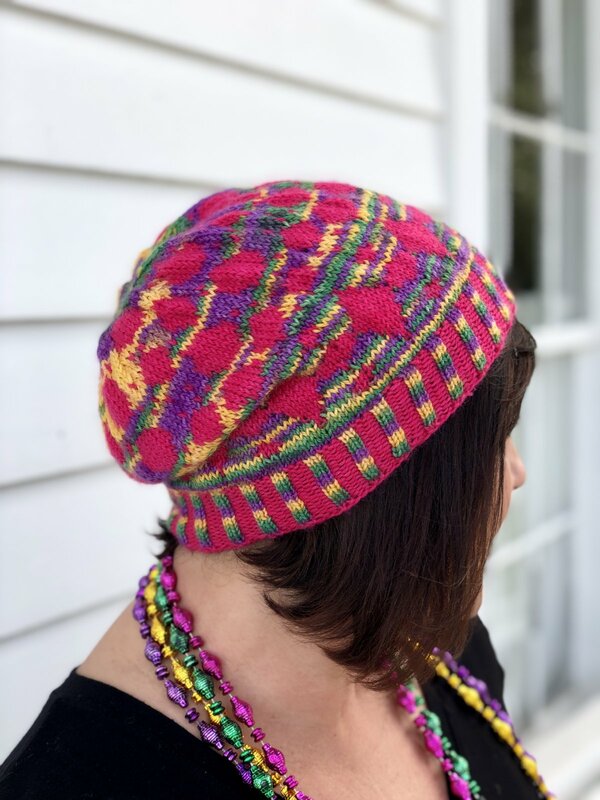 We dare you not to get the Mardi Gras Mambo song stuck in your head while you knit this little cutie! You'll learn how to work stranded knitting, the German Twisted cast on, and more in this fabulous class! Plus, it's the perfect way to use our brand-new Mardi Gras yarn from Prism yarns--we're the only store in the country that carries it! Please do note our important class policies, which you can find here!